Debt collection technique number 49: The “Free Pass”. This one is a little out there, a little unconventional but by god it is effective. Basically what you do is tell the customer that you are considering writing off what they owe you. That they don’t have to pay. That clearly it was never their intention to do the right thing. If you are going to try this though, make sure you either follow through and actually write the debt off or explain that you are merely considering it, so at least you can change your mind down the track. This is classic reverse psychology, a technique which is hugely underrated and under-utilised. The last outstanding invoice we were chasing from a client of ours I told them they didn’t have to pay, that they had “gotten away with it” and within an hour I had the funds. This was AFTER trying everything else, all our normal collection techniques, threatening legal action, defaults etc. “I have been thinking about this money you owe us, and to be honest, I don’t think it was ever your intention to pay, so I am considering just writing it off. You win. You have gotten away with not paying a small business owner just trying to make a living”. That’s all you need to say. You watch how quickly they respond because they are desperate to make themselves feel better, because you clearly think so little of them. 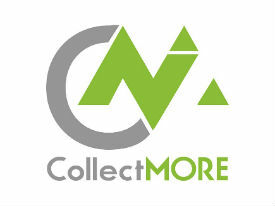 ← Debt collection technique number 253: The Guilt Trip!